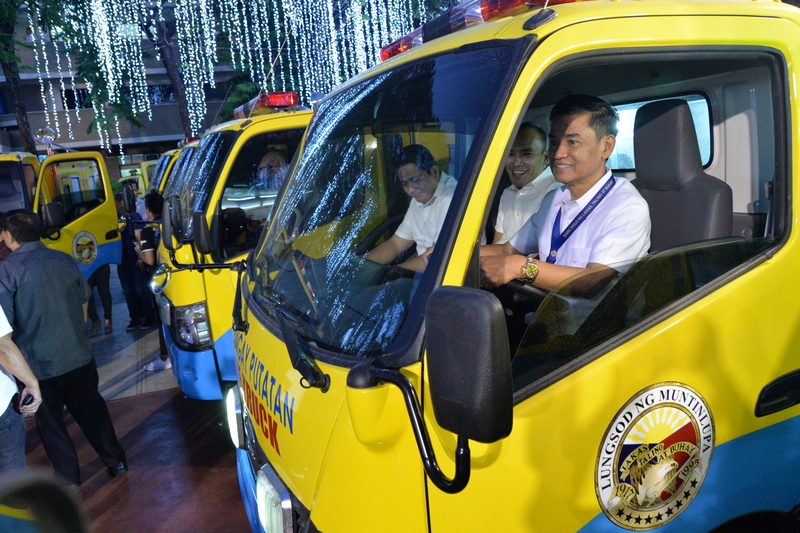 Mayor Jaime Fresnedi inspects a fire truck during a turn-over ceremony on March 18. Ten six-wheeler fire truck penetrators with 500 gallons water tanker are given to barangay officials and Disaster Risk Reduction and Management Office during the city’s flag raising rites. The local government of Muntinlupa continues to improve its local disaster risk response management services through purchasing equipment and tools for disaster resilience.